Discover the new side quest added to Assassin's Creed Origins, Incoming Threat. Assassin’s Creed Origins’ first piece of DLC, The Hidden Ones, is just around the corner, and to prepare you for a new adventure, Ubisoft has added a new quest for you to complete. Called, Incoming Threat, the side quest tasks you with defending Siwa once more. Upon loading up Assassin’s Creed Origins, you may notice a new icon has appeared on the world map. This orange quest icon heralds the Incoming Threat side quest, a level 35 activity that begins in the city of Herakleion, in Herakleion Nome. 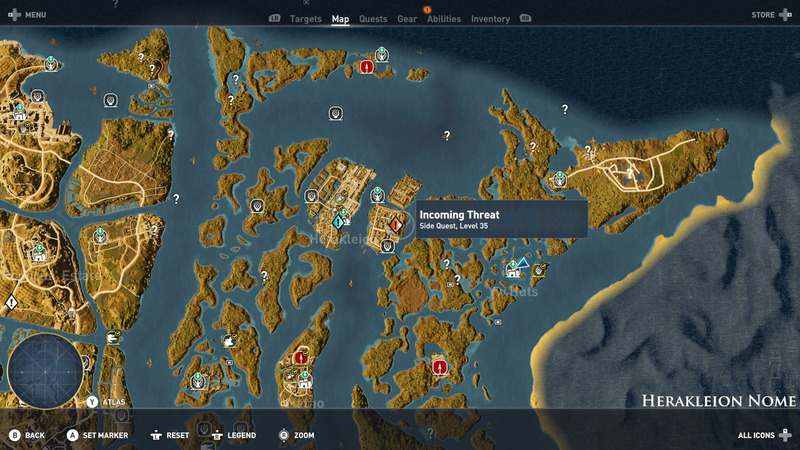 Once you reach the marker, a servant will approach you with a letter from Otis, who details a threat against Siwa. As it turns out, a Roman general has come to Siwa to seek out some artefacts, and it’s up to you to prevent him from massacring the town. Head to Siwa, and search for the Saragina Camp located to the north in the mountains. The camp contains a Captain, Commander, and two treasures to loot. Your task is to kill every single soldier in the camp and loot their bodies. The second part of the Incoming Threat side quest will task you with finding several carts filled with luxurious goods. The carts’ locations will be placed on your map, so all you need to do is find them and break them to pieces. Though this part is straight forward, the carts are often in highly-fortified locations that contain a lot of enemies. If a cart is in a fort, sabotage the signal fires to prevent any extra enemies coming in and interrupting you. With all the carts broken, you will need to head to Otis to inform him of your success. 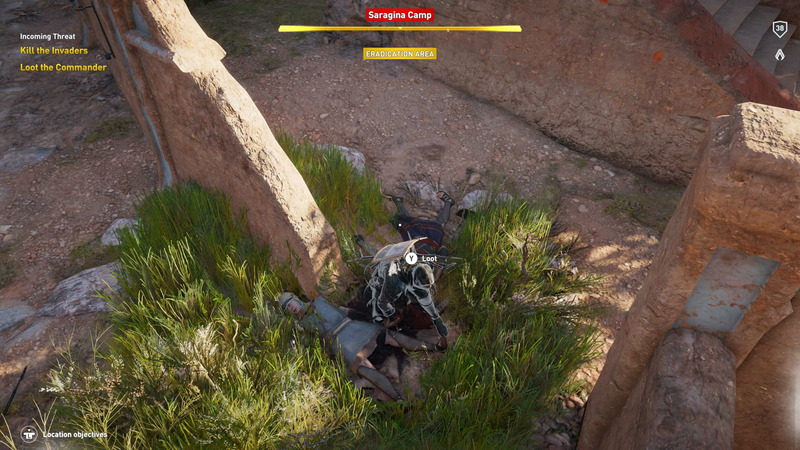 The Incoming Threat side quest is fairly easy, but it does path the way for the next major threat that Bayek will need to take care of. Be sure to check out our other Assassin’s Creed Origins guides, such as where to find all papyrus treasures or all Phylake locations.